Discover Croatia on a small group tour, self-guided trip or family adventure with Explore. Blue sea, gold sand beaches, Game of Thrones-esque architecture and national parks with infinite waterfalls - Croatia has it all. On several Explore holidays you can discover the beautiful Croatian city of Dubrovnik's old walled medieval centre, which was extensively damaged by shelling during the Siege of Dubrovnik in 1991-92. 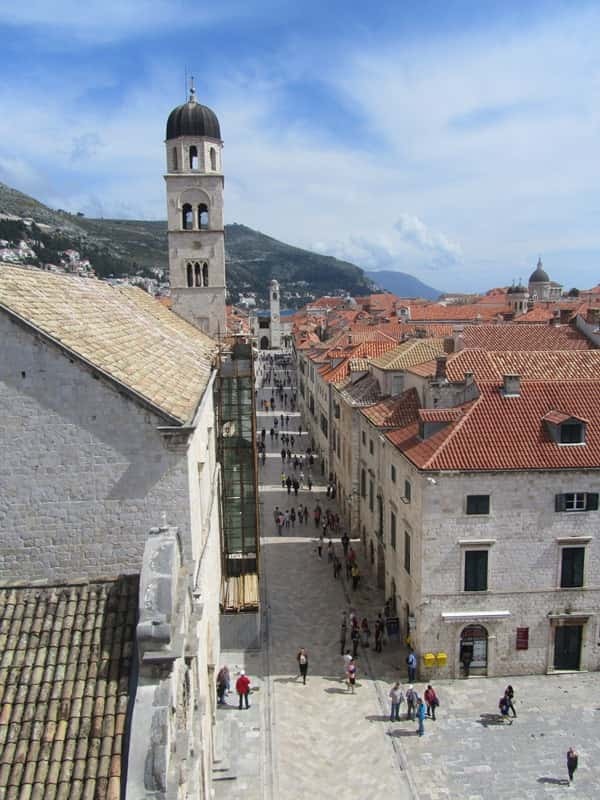 However, thanks to help from UNESCO World Heritage Dubrovnik has been wonderfully restored whilst still retaining its atmosphere and charm. George Bernard Shaw once wrote that ‘those who seek paradise on earth should come to Dubrovnik’. On an Explore trip to Dubrovnik you may choose to get a view from above by taking the cable car to a nearby hilltop or by enjoying a walk around the city fortifications. Inside Dubrovnik's walls you’ll find a myriad of sand coloured ornate buildings, cobbled squares and pretty fountains. On an Explore tour you will have the chance to visit the Rector's Palace, Franciscan Monastery, Dominican Monastery and the cathedral. The Rector's Palace was built in the 14th century and was in use for this up until 1808 and has since been used as an armoury, watch house and prison. As well as the fantastic architecture it also now houses a museum on the Ragusan lifestyle. Other good museums that you might like to visit on your Explore holiday are the Maritime Museum in the Fort of Saint John and the Ethnographic Museum, which can be found in an old granary dating from the 16th century. On a number of Explore holidays you can spend a day walking along the well-marked trails in the stunning Plitvice Lakes National Park. You follow the course of 16 crystal blue-green lakes on their dramatic and cascading descent over 92 travertine barriers and waterfalls. Over the millennia, the waters of these lakes have dissolved the limestone rock and carved out the valley in which they now lie and natural dams separate the lakes. This dynamic process still continues with new falls breaking through the travertine barriers and constantly changing the look of this iconic Croatian national park. On a trip to Croatia with Explore you can follow a popular circuit leading you from the Upper Lakes, on a ferry across Lake Kozjak and then on a path that twists between the Lower Lakes. Every turn leads to new breathtaking scenery and yet another stunning waterfall.